One of my favorite places to eat is Cracker Barrel. Its homey southern country atmosphere and good comfort food is enjoyed by all in my family and its been a regular stop for me for breakfast especially. Recently the chain has taken some serious criticism for the way it handled a situation at its Venice, FL location that resulted in a 72 year old employee getting fired for what appeared on the surface to be just handing out a muffin to a homeless man. The 72 year old former employee, Joe Koblenzer, a Vietnam veteran was terminated shortly after his charitable act. Once the news broke and the court of world opinion, and presumably Cracker’s Barrel’s soon to be former customers convened, Cracker Barrel was found guilty on all counts. However as is often the case there’s more to the story. Apparently Mr Koblenzer had a habit of eating food without paying for it and taking food from the store and giving it to others without paying. 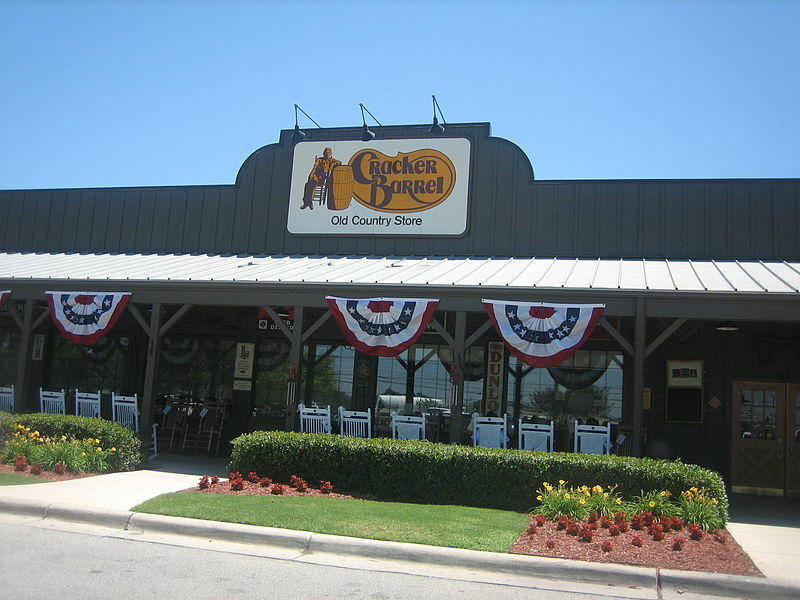 Cracker Barrel understandably counseled, and wrote up Mr Koblenzer several times and after his latest incident, the fifth one, they fired him for cause. 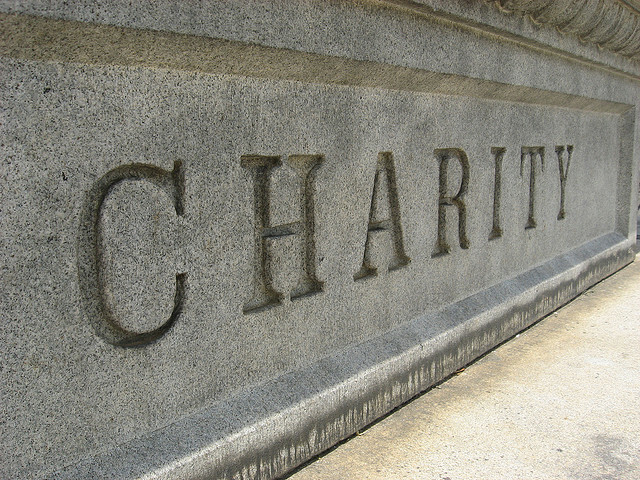 Being charitable is something all of us could and should do more of and perhaps it was a noble thing Mr Koblenzer was doing except for one thing. He stole from his employer to do the good deed. Robin Hood is alive and well apparently living in Venice, FL albeit unemployed now but you get my meaning. Since when did it become acceptable to steal from your employer to provide charity to someone else? To those Christians that are spewing hatred on the Cracker Barrel Facebook page and quoting scripture where does the Bible say Jesus stole from his employer to provide food to the hungry? According to the story Mr Koblenzer was taking food from the store for his own use and on also giving it away against the store policy, in essence stealing. If he is indeed concerned about his fellow man going hungry he should have paid for the food himself and then gave it to those in need, not take it from the store in which he works and decide for his employer who they should be charitable to. That is the point here. IT’s not about how charitable Cracker Barrel is or isn’t, its about whether an employee has a right to take from his employer to give to someone else without permission. Americans love their Robin Hood myth, steal from the rich and give to the poor. Wealth redistribution. Perhaps Prince John deserved it but does every business or person who is successful in America? For anyone that owns a business I would find it hard to believe they would be okay with one of their employee’s repeatedly stealing from them for whatever reason and disregarding company policy. The trouble is most Americans don’t own businesses and indeed in school today they are taught to be good little subjects of the STATE and employees, not responsible individuals and entrepreneurs. So they have no idea how hard it is to make a business successful, obtain customers, pay the bills and make a profit. To them it should all be free. If you talk with some of these people they actually believe profit is evil. How incredible ignorant. Koblenzer ate food without paying for it and he gave it away to others without permission to do so. That is wrong. Who is he (an employee) to decide for a corporation’s ownership how much a corporation should give to other people? Cracker Barrel may not want to start handing out food from their restaurants as a matter of practice as their might be a line out the door every morning of homeless people at every store waiting to get their free coffee and biscuit. Maybe they would like to donate or help out in some other fashion or not at all. The point is they should have the right to decide for themselves when and how much charity they should provide. Cracker Barrel’s employees have no right to dictate the ownership’s charitable giving policy and they definitely don’t have a right to steal no matter how little or insignificant the employee thinks it is. Court of socialists opinion be damned. This is not Sherwood Forest, unfortunately more Americans would like to think it is. Soak the rich, sock it to those greedy corporations, never mind they provide families with jobs and benefits and make the economy grow. What a bunch of dummies. Whether its supporting a government that is only too willing to tax the snot out of rich individuals to redistribute the wealth elsewhere or force corporations by threat or intimidation into redistributing its profits elsewhere. You cannot force people to be charitable otherwise its just stealing and unlike the Robin Hood myth I believe that’s still a crime in most places and against God’s law too. By JJPaladin in Politics/Government/Law on June 28, 2014 .